For more than 50 years, the world's top scientists searched for the planet Vulcan, whose existence was predicted by Isaac Newton's theories of gravity. Some of the era's most skilled astronomers even claimed to have found it; the only problem was that it was never there. 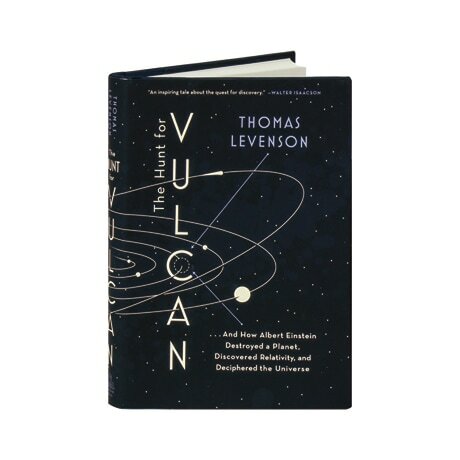 In his revealing look at how scientific discoveries are made, Thomas Levenson introduces us to the visionaries involved with the phantom planet, from Newton himself to Urbain-Jean-Joseph Le Verrier, who built on Newton's theories and discovered Neptune, before announcing that another planet, dubbed Vulcan, must also exist. It was Albert Einstein who realized that the problem was not with measurements or math, but with Newton's theory itself.